Marca, the international private label exhibition and conference, is one of the largest European trade fairs for the private label industry and the international supermarket label exhibition. 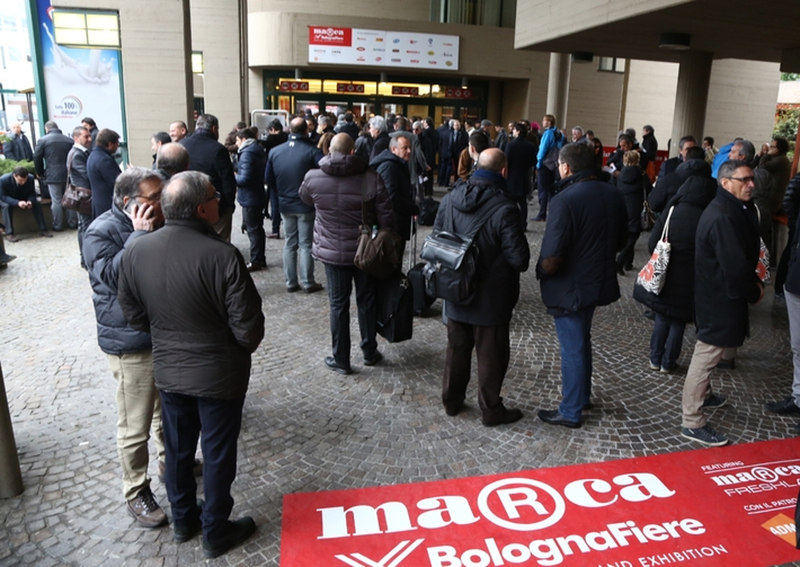 Organized by BolognaFiere in collaboration with Associazione della Distribuzione Moderna (Modern distribution Italian association), the trade show taking place in Bologna is the only Italian exhibition dedicated entirely to private labels. Marca will occupy four pavilions for its 15th edition, due to be held on 16 and 17 January. In addition to the usual 25 and 26 pavilions, the exhibition has expanded into two further pavilions – 29 and 30 – which have undergone a complete renovation. Moreover, the Bologna Exhibition Centre as a whole is being renovated and enlarged as part of a project involving an investment of 100 million euros to develop a total exhibition space of 140 thousand square meters by 2022. Last year, the event’s visitor numbers were 9,538, with an increase of 21% compared with the previous year. These positive trend can be seen alongside the grow in exhibitor numbers (706, +15% on 2017) and an increase in exhibition space (+11%). The event also hosted 80 foreign delegations from 19 different countries in addition to a significant number of category managers from the world of retail. These results can also be credited to the support of ICE – Italian Trade Agency, the Italian government backed agency for the international promotion of Italian businesses.